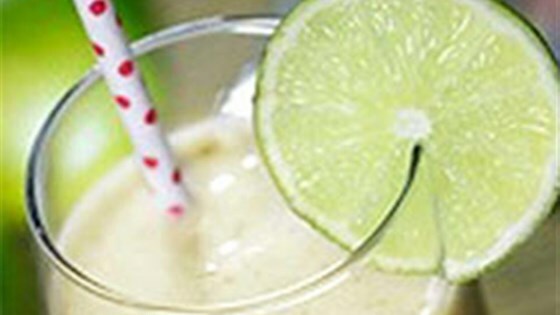 "This easy banana smoothie is garnished with lime zest and fresh mint leaves." This was OK, wouldn't say it wow'd us. Added more ice to reach the "slush" texture and garnished with some mini chocolate chips.